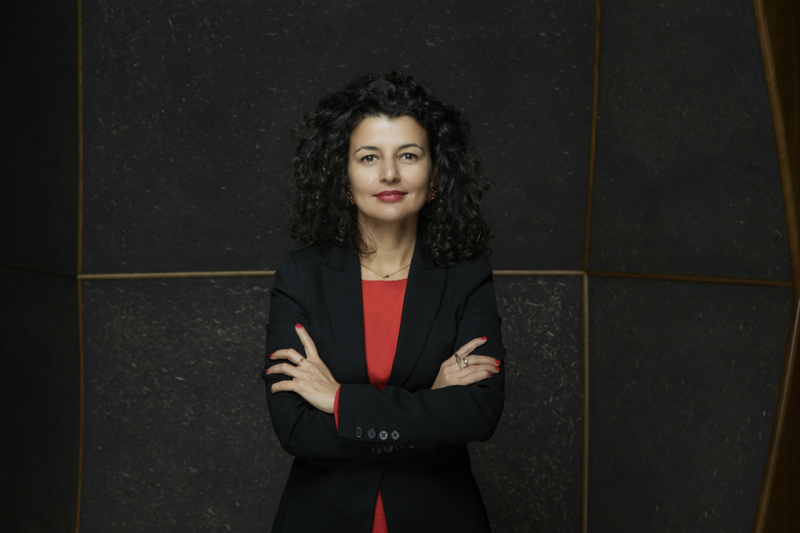 Liverpool Biennial have announced today that curator and writer Fatoş Üstek has been appointed as their new director. Born in 1980 in Ankara, Turkey, Üstek is currently Director and Chief Curator of DRAF (the David Roberts Art Foundation) in London, and was associate curator for the 10th Gwangju Biennale in South Korea (2014). Üstek is the third female director to be appointed to a Liverpool-based art organisation in recent months – following Helen Legg at Tate Liverpool and Dr Nicola Triscott at FACT (Foundation for Art and Creative Technology). Üstek replaces the outgoing Tallant (who takes up the role of director of the Queens Museum in New York later this year), who had been at the Biennial since the end of 2011 [read our first Big Interview with Tallant here]. Among the first items Üstek will no doubt find in her in-tray in May will be how the UK’s largest festival of contemporary visual art deals with any potential fall-out from Brexit – no deal or otherwise. Given its stock-in-trade of working with and commissioning international artists, the organisation will need to keep a firm grip on any changes regarding rules and regulations around freedom of movement, and of course, the shipping of artworks. Closer to home, the Biennial’s relationship to its host city will also no doubt be among her immediate considerations. During Tallant’s stewardship in particular, instances of socially engaged projects as well as a focus on reaching out to communities beyond the city centre have increased. Üstek says that she will be “taking Liverpool as [her] point of reference” while also, of course, “reflecting on current global discourses and developments in the international arena”. At this early stage, it’s nigh on impossible to gauge what a Fatoş Üstek biennial will look like, but we can refer to recent curatorial projects for clues. Last year, for instance, saw her curate Korean artist Do Ho Suh’s Bridging Home, who compressed a scale model of his childhood home and bamboo garden onto a bridge near Liverpool Street station in London. The artist was previously commissioned for Liverpool Biennial 2010, where he squeezed a similar model between two buildings on Duke Street, as if blown there by a tornado.